Firearms Safety Course: Day 1, May 27 2015, Non-Restricted Firearms, open to everyone, must bring I.D., cost is $145. Firearms Safety Course: Day 2, May 28 2015, Restricted Firearms, must be 18+ and have taken Non-Restricted Firearms course, must bring I.D., cost is $250 for both days. 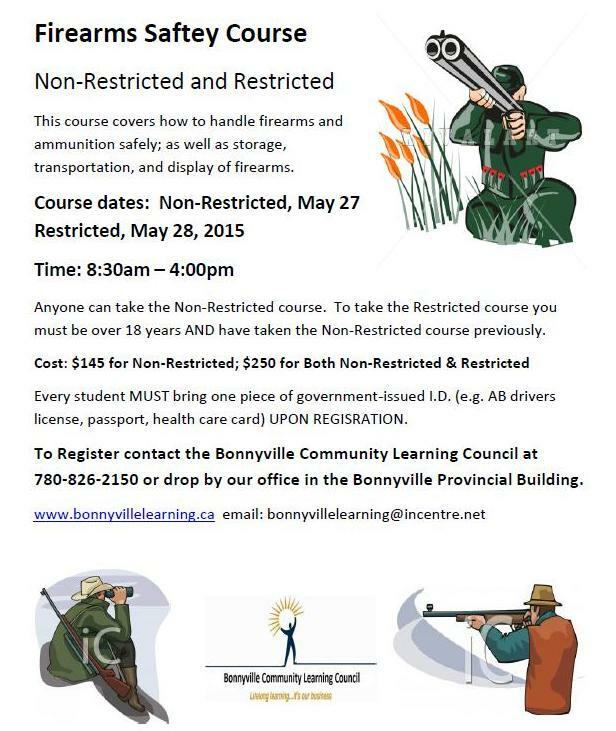 Please call us at 780-826-2150 to register or drop by our office in the Bonnyville Provincial Building. After this course will I be able to buy a firearm and hunting license?